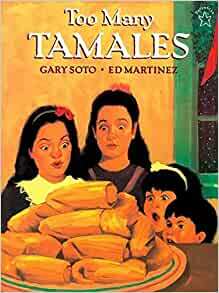 Also available in Spanish as ¡Qué montón de tamales! Start reading Too Many Tamales on your Kindle in under a minute. I love to read this book to my first graders each December. It is a great book to accompany my Christmas Around the World unit, particularly when studying Mexico. The pictures are warm and inviting. The story provides a strong sense of family and cooperation. It centers around a young girl named Maria, who tries on her mother's ring. Then while making tamales, the ring disappears. Later on, Maria realizes the ring is not on her finger and she believes that it is inside one of the 24 tamales! Absolutely wonderful Read Aloud book for a First Grade classroom. Adds wonderful vocabulary for our students. Very good Read Aloud to describe characters - using evidence from the story to identify character traits throughout the text. Excellent product - I was very satisfied with the seller of this book. 4.0 out of 5 starsLOL! Just looking at the picture on the cover, you can imagine how the story is going to go. Poor Maria. SUCH a big girl - helping out, wearing lipstick, a dab of perfume... why not wear her mother's ring as well? Why not? Because when you can't find it, you'd BETTER find it. And yes, she tries to find it in the only way possible. By eating every. single. tamale. Even for a picture book, I refuse to spoil the ending. But the ring does (eventually) get found, and the family has a happy holiday regardless. Story is set expertly in Christmas / winter environment. Drawings of characters make them accessible to impressionable 6 to 9 year olds. 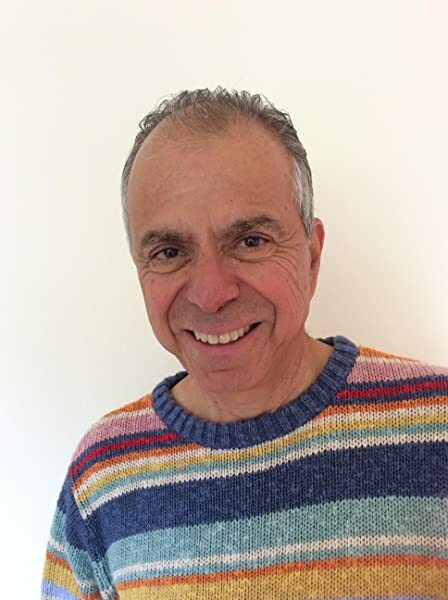 Both setting and main character's initial behaviors provide plausible, comprehensible justification for the main character's subsequent behavior. Author is wonderfully descriptive. 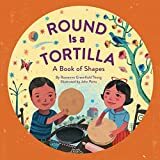 Your children will SEE the precious ring rising and dipping back into the tamale dough, mirroring the blinking holiday lights spectacle that opens the book. Subsequent events are all ones that your child can identify with as probable under the anxious circumstances that ensue when main character carries the mother-imitation too far. A grabber for children of all ages, colors, faiths. Nice job Mr. Soto! 5.0 out of 5 starsCan there ever be too many tamales? This book is about forgiveness and family. We loved it!! Great story. Grandchildren & Students love this Story. Great book to read to a multicultural or TESL classroom! !